Ein großer Teil der Spenden wurde in den Aufbau des Hope Centers investiert (mehr dazu unter ‚Theme‘). Beacon of Hope Uganda is a Ugandan based gap-year, volunteer, cross-cultural exchange, and humanitarian and rural development organization. 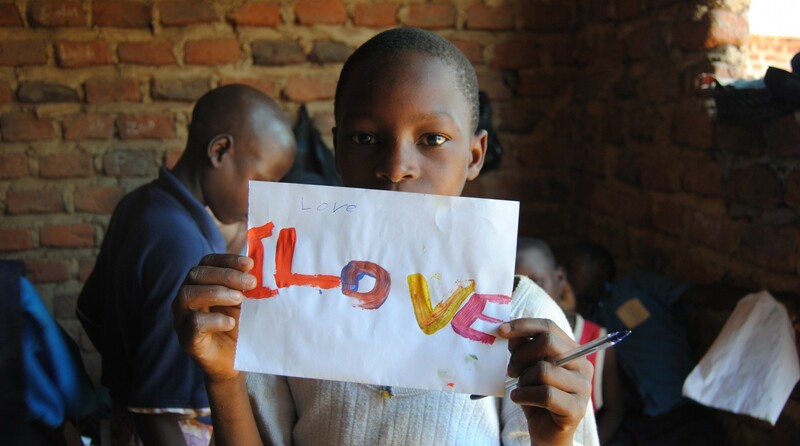 Beacon of Hope Uganda designs and conducts programs which contribute to the welfare and social productivity of disadvantaged individuals and communities with an emphasis on children and youth. BoHU addresses some of the most pervasive problems in rural Uganda, including HIV/AIDS, malaria, hunger, education, poverty, access to clean drinking water, and orphaned children. In addition, it focuses on empowering the youth of Uganda empowering them with different skills and leadership training. BoHU is founded on the principles that our shared values and commonalities as human beings are more important than our individual differences. We therefore operate on a non-political, non- denominational, and non-sectarian basis, welcoming all world citizens to contribute to our work and every Ugandan in need. The focus of our programs is on providing resources for sustainable development in under- resourced communities. In order to uplift the youngest of our society however, it is often necessary to first assist adults and overall communities in which they live. Past and/or ongoing projects conducted in the general community include feeding the destitute, outreach, counseling, and assistance to people living with HIV/AIDS and other illnesses which affect their health, life expectancy as well as their social and economical position in society and counseling. Other programs BoHU runs are focusing on giving immediate assistance to individuals who have been raped or defiled and the building of village wells, schools and establishment of health centers. Furthermore BoHU offers assistance with women’s craft groups, and ongoing assistance with an organic community garden and youth skills training enhancing their development, social and economical opportunities. Beacon of Hope Uganda designed a project of constructing a social centre for the community of Kaympisi with facilities like a health clinic, youth centre, skills training, child development centre, women enterprising centre, community library, Hope schools, mini-museum and guest house and café. Needed support for micro-financing projects (Lack of self-trust and knowledge forbecoming independent)When the Beacon of Hope Uganda opened its doors to the community of Kasaala, Kyampisi sub- county, Mukono District, we talked to the community members about what they thought were the issues that affected their lives and the problems they faced. Our development philosophy is that the communities need to tackle the problems themselves; we want to give a hand up, not a hand out. Hand ups create self respect; self belief and the results are infectious. The community identified their hardships as being caused by poor education; lack of farming knowledge; lack of money and access to it; and poor health to which we have added environmental management. These 5 hurdles provide the foundation stones of all our activities and we have projects aimed at targeting aspects of each. We believe that if poverty is to be alleviated, all the problems need to be tackled at once. Our understanding of ‘Sustainable Development’ is that which focuses on the social, environmental and economic factors that are needed to ensure a development for the existing community that does not affect the ability of future generations to enjoy the same opportunities. “The Hope Academy” (2 buildings): Nursery- and Primary school should provide Education for up to 450 children during the week. On weekends, it is planned to use the rooms for teachings and community outreaches, such as raising awareness about hygienical problems and diseases, as well as organizing business trainings. Later in future, we also would like to extend the trainings to teaching in practical professions such as joinery, tailoring or hair dressing, to later on include them actively in the life of the Social Center itself. A Health Clinic: Starting on the bases of a pharmacy that provides medical supplies, we want to develop the clinic up to a medical standard of Level II. This clinic will be able to also serve some of the surrounding villages, taking the number of helped people to around 4600.